1996-2001: Alice Public Library. Reference and children’s Librarian. Continuing education coordinator. 1992-1995: Kindergarten teacher for Berwyn Baptist Church in College Park, Maryland. Summer 2012: Assigned Co-editor for book project (Editor: Dr. Susan Roberson): Mujeres Atraves del Tiempo (correlation to Arnold Gonzales, Sr. Mural by the same title). work completed Summer I, 2012. Computer Skills: Professional computer competency in Microsoft Office and research involving Internet. 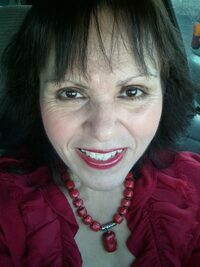 Professionally proficient in Spanish as a speaker and writer. 2001: Three Pulitzer nominations for Editorial content, for investigative reporting of the carriage of domestic violence laws in Duval County and for the collection of soldier’s stories from World War II through Vietnam. The Price of Freedom, a series of war stories from World War II through Vietnam was collected and housed by the United States Library of Congress. The Impeachment of William Jefferson Clinton has the historical distinction of being the first book published wholly online as an electronic accessed book. November 2011: Coordinated the Dr. Helena Maria Viramontes Teleconference between TAMUK and Cornell University on the short story, “Caribou Café”, integrating the Art, Communications, Department of Languages and the honors College for event. Simultaneous broadcast allowed for the usage of the Cousins and Library labs, facilitating 75 students and faculty. A pre-teaching event explaining the historical and literary nuances of the story was coordinated as well. Interests: Writing, Art (Painting, Sculpting), Reading, gardening, cooking, singing, theatre and movies. I have enjoyed the development of social activities such as Fore Hall One O’clock lunch where colleagues from the department meet and discuss a variety of topics of interest over lunch. We integrated Master-level students to help encourage them along in their studies.